An HDMI splitter adapter that will split the output from your device to two monitors or TV screens. This item does not work to auto-switch or share an HDMI port. 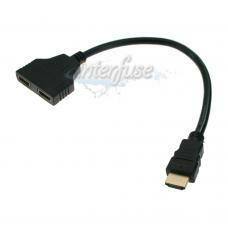 Please check our store if your need a splitter to share a single HDMI port.